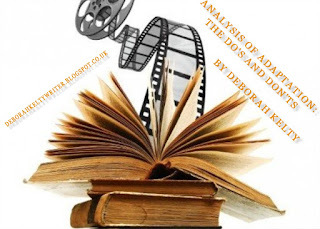 Why Is There Controversy Over Bible Adaptations? Ever since I wrote my last post from last week, I have unfortunately been a little under the dumps. If you've noticed my most recent tweet on Twitter, you'll probably know exactly what I'm talking about. 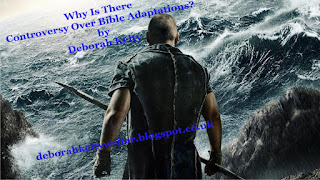 So, Bible adaptations, why exactly do I want to talk about them? Well, firstly, if you've been following my blog for awhile, you'll know that I'm very familiar with this area of faith. Not only that, but I also have seen quite a few adapted works of the iconic stories to have a good idea of what they're like. And while we may not admit it, these particular films, and ones around this time period such as Ben Hur, have been some of the very first that began film as a whole. So I was doing chores this morning when a little question came to my head: What is a good joke? And I don't mean just any joke, but I mean a joke that's memorable and doesn't go on in history as The Worst Thing Invented By Mankind. You see, comedy writing, while common to say the least, is actually quite tricky when you're writing a story around it. You have to make sure it's funny without being too childish or complicated for the reader. 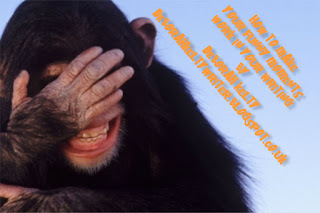 And the bigger fact is that comedy isn't just a genre on its own; you can find its unique, quirky gems in any of the categories. Now I'll admit that I've not exactly written comedy before (looks at the scenes in my work that I think are funny), but that isn't to say I might have a tip or two somewhere on the line. If I'm wrong on the way comedy's supposed to be done, I'm really sorry I even wrote this down. There are various definitions for the term adaptation, some scientific and others literal on the matter of survival. But the most well known, and especially to this day and age, is the one that ultimately defines our culture and most importantly, entertainment. The one in question:"a film, television drama, or stage play that has been adapted from a written work." But what does that mean for those who adapt the work of one's great art? There are three main types of persons involved when the act of adapting becomes official. First; the author of the work, who allows given permission whilst having owning some of the remaining rights left back for financial, social, and political protection. Since it's a Duo Posts Day, I decided to do a two part series on the matter of what I call the recent "Big Trend." (Should have said this in my earlier post to explain the title, but I digress.) By that, of course, I mean iconic genres or book demographics that have become so popular it's almost on the point of ending on newspaper articles. My previous today was on the younger side of this particular trend, the MG fiction. Now, we have the older equivalent of that: the young adults. Middle graders. The kids who've started elementary where they learn the reality of sleeping frequently in chairs, as well as handling new responsibilities like younger siblings, manners and day to day life skills. And of course, making sure having LOADS of friends is on the top list of their priorities. But like every young kid with big dreams, they also love reading. 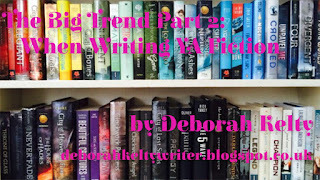 So for the publishing world, the genre of MG fiction has become a huge gold mine. From being No.1 bestsellers, film or game adaptations, it's become even bigger than ever. So of course there are many writers who'd sign on for a gambling chance at becoming a millionaire. But hold now. Don't but in now. Can't you see I'm talking? Before you ask why I've written a post outside of my usual routine, let me just make it clear that THIS is a special kind of blog post. 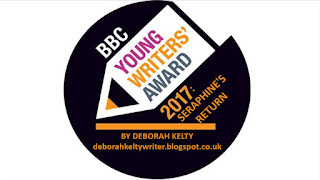 About a few months ago in March I heard about a national competition for young writers which had been going on for a couple of years. Based on the BBC National Short Story Award, the Young Writers Award is pretty much the same thing. You write a short story under 1000 words, send it in before a deadline, then wait until the beginning of the autumn for the results. While there are thousands of entries, only five are actually chosen, with the winner revealed a few days later. The shortlisted are invited to London to the winning ceremony, and get their entry posted on the BBC Radio website. As for the winner, they get a mentoring session with one of the judges and their story is read by an actor/actress on the radio some time afterwards.